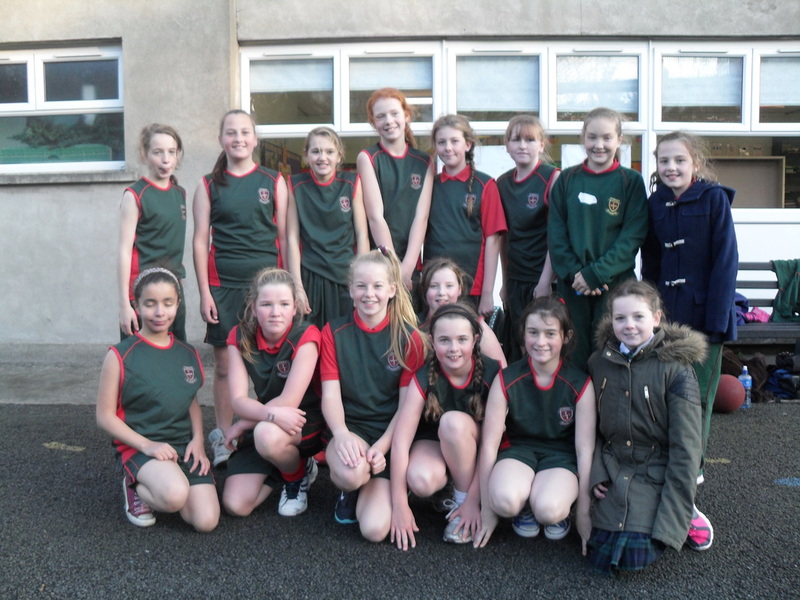 There are 20 people on our school basketball team from the 6th classes. We started off with trials to determine who gets on the team. 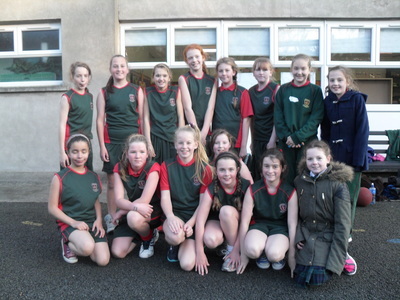 50 girls from 6th class tried out but unfortunately only 20 could be on the team. The first match we played was against Dublin 7 Educate Together and we won! Our next match is against Scoil Mobhí and after that we are playing against a school in Portmarnack. We train every week. Our coach and referee is Ms. Phelan. Ms. Phelan puts a lot of work in and we are glad to have her as our coach. Terri Townley and Louise Mc Guinness did table officiating for the game, keeping score and the time, together with two pupils from Dublin 7 Educate Together school. Well done to all for doing a great job! Final score: 14-4 in favour of St. Brigid's! Great game, girls. 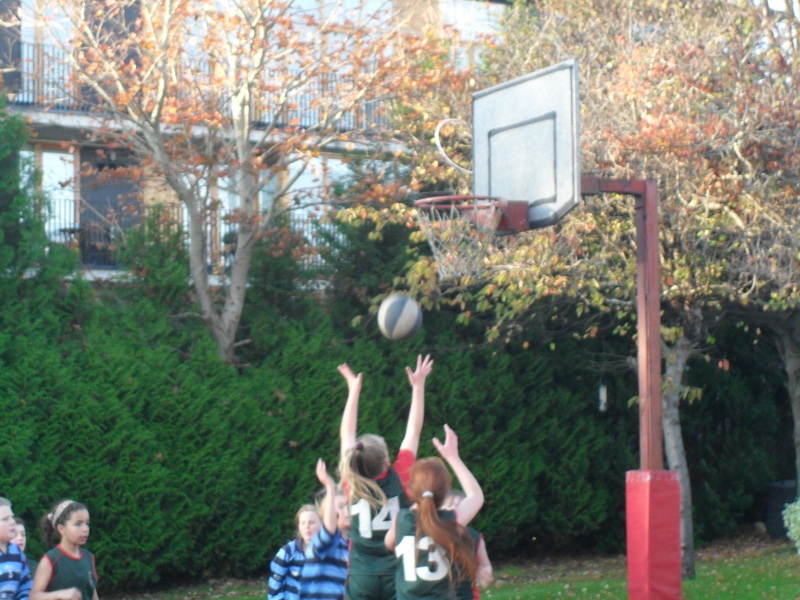 St. Brigid's basketball team will be playing Scoil Maelruain in the National Basketball Arena on February 2nd at 1pm. The girls have been doing really well in their league, and finished second overall. They are looking forward to the occasion of playing in the Arena and the excitement that comes from playing in their final. Best of luck on the day, girls! St. Brigid's Win Mini Basketball Dublin league final! 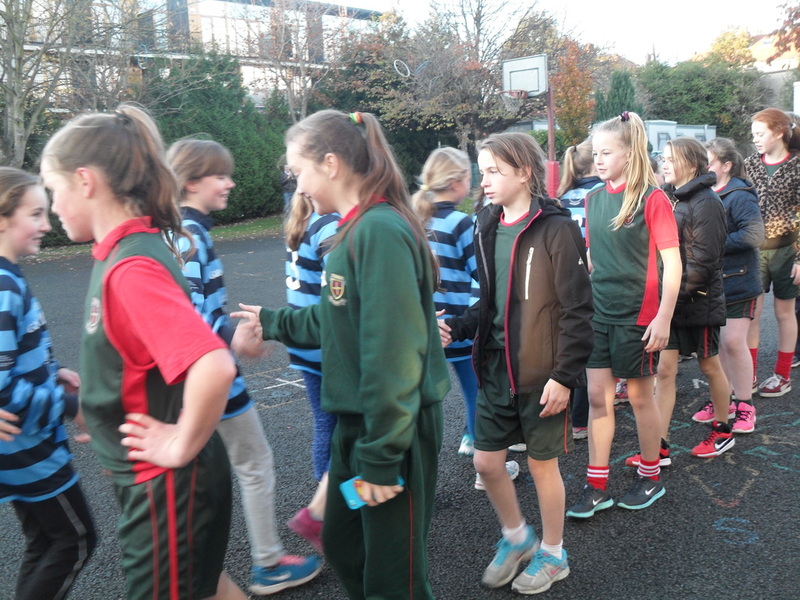 Thanks to a great display by all members of the St. Brigid's mini basketball team on Feb. 2nd in the National Basketball Arena, the girls in green ran out victors 38-10 against Scoil Maelruain. It was a great win for the team who have been training for the past couple of months. All 20 girls on our team received a lovely medal as a memento of their final, and look forward to competing in the mini basketball tournament in May. 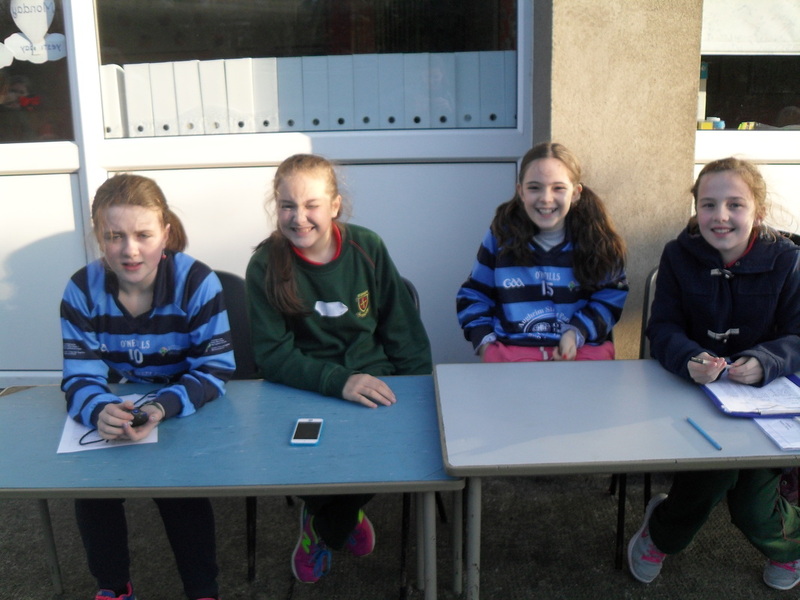 A huge thanks to the 6th classes who supported the team on the day. Their very vocal support was great to witness in the magnificent Arena.